Throughout my adult life, I have been active in a number of disabled people’s organisations, student bodies, and pressure and campaign groups. Enthused and politicised by my MA in Disability Studies, I started my activism journey. 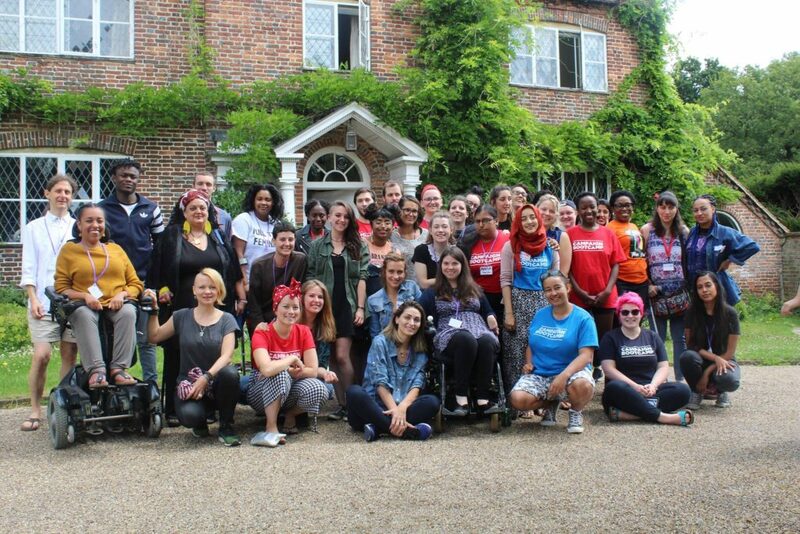 I was the founding member of Disabled Students Society in University of Leeds in 2003, where students were provided social and political space to discuss about their experiences related to being a disabled student. I served as a Union Academic Representative in the University of Leeds Union from May 2005 to June 2009. In this role, I held regular meetings with postgraduate students and represented their academic concerns in the Faculty of Education, Social Sciences and Law staff committee meetings. For this I received an honorary lifetime membership of Leeds University Union. From September 2005 to October 2009, I was one of the trustees and the equal opportunity officer of the National Postgraduate Committee. The aim of this committee was to campaign and promote postgraduate students’ rights both nationally and in such influential European organisations as the EuroDoc. As part of the National Students Forum, set up by the Department for Innovation, Universities and Skills, I worked with groups specifically focusing on disability issues from February 2008 to September 2010. This role involved me speaking out and voicing disabled students’ concerns to be included in the Government reports and to inform policy. From January 2012 to October 2016, I was a steering group member and researcher for Sisters of Frida, a Community Interest Group of disabled and allied women. I acted as an expert contributor in the field of Disability Studies, working with disabled women on sharing experiences, mutual support and forming relationships with different networks. 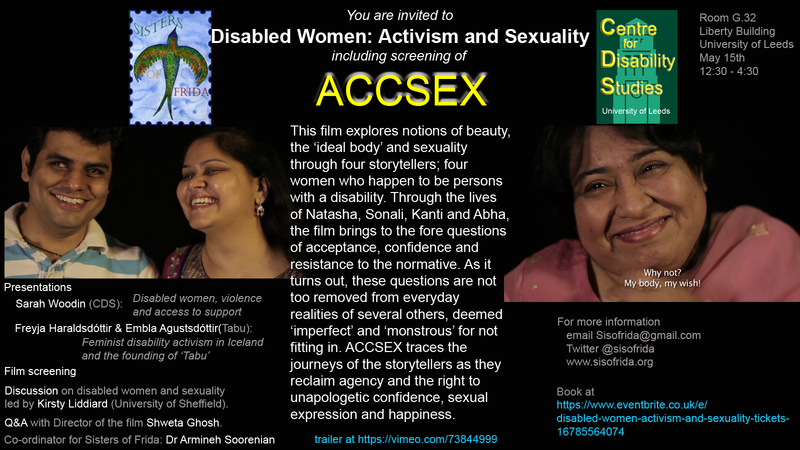 I also arranged the Leeds screening of Accsex, a documentary by an Indian director Shweta Ghosh about “notions of beauty, the ‘ideal body’ and sexuality through four storytellers; four women who happen to be persons with disability”. The screening was followed by presentations and discussions around women and sexuality. Since November 2015, I participate in the Disability Hub, Leeds City Council, and discuss with the members different disabling barriers within the community in Leeds. Following these meetings, as a representative of the same hub, I share the hub members’ needs and concerns with senior council staff and other equality hubs with the view to address the issues raised. Additionally, I have been an expert advisor to organisations such as the British Council UK Disability Advisory Panel, IncluD-ed, Pyunic in Armenia, Women’s Shield, Equality Access Forum (Leeds City Council), Equality Challenge Unit and National Institute for Health Research at the University of York. In each of these platforms, I have advised on inclusive policy and practice, always advocating for disabled people’s rights. Wherever appropriate, I have been open to the idea of delivering workshops and seminars with ample time for discussion on relevant topics to each group. In 2017, I designed and delivered two training sessions to new and existing personal assistants at Leeds Centre for Integrated Living (Leeds CIL). The aim of the training sessions was to help participants learn how to better support and communicate with people with visual impairments. Both sessions were well attended and the feedback received was positive and constructive. We are looking to repeat the training going forward. 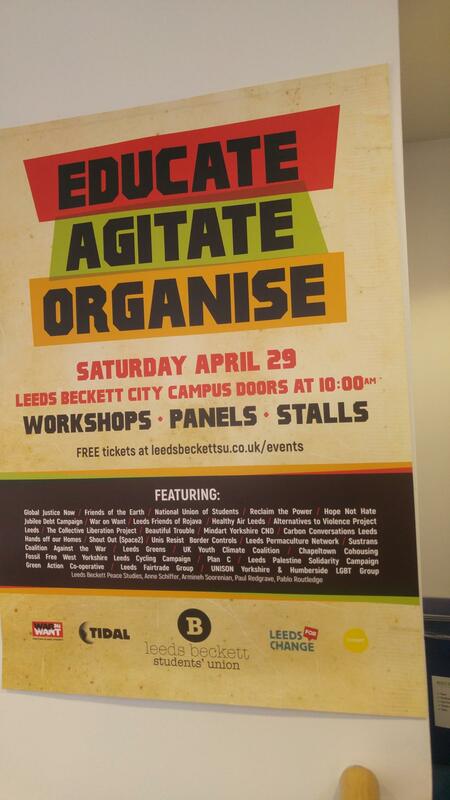 I have delivered two workshops at day events arranged by a local campaigning group, Leeds Tidal. The workshops were to raise awareness of disability issues and the effects of austerity measures on disabled women’s lives. I have also served on the Leeds for Change steering group, working on making their website inclusive. I participated in the Campaign Bootcamp 10 residential week in July 2017. We learned valuable skills for creating effective and thoughtful campaigns, which has enriched my experiences as a campaigner. This has given me new inspirations to follow up.